Jean Estelle Thom, 91, passed away peacefully on April 15, 2019, in Hastings, Nebraska. Private family services will be held at Peace Lutheran Church on Friday, April 19, with interment at Sunset Memorial Gardens Cemetery in Hastings. Public/Family visitation will be at Livingston Butler Volland Funeral Home, 1225 N Elm Ave, Hastings, NE on Thursday, April 18, from 2-8 p.m. with family present from 2-5 p.m. Memorial contributions in lieu of flowers may be directed to the Hastings YWCA in her honor as Jean wanted to support women in the local area. Jean was born in Lincoln, NE on October 27, 1927. She was the youngest of two children to her parents, Hobart “Earl” and Alma Ballance. She graduated from Lincoln High School and attended the University of Nebraska. On September 5, 1948, Jean married LeRoy W. Thom in Lincoln. The couple lived in Scottsbluff, NE, and in Montana before settling down to raise a family of four sons in the Minden and Hastings communities. Jean helped her husband, LeRoy, start T-L Irrigation Co. in 1955. She was very active with the company in the early years and was the Corporate Secretary and on the Board of Directors until her death. Jean was a member of Peace Lutheran Church. She was also active in the Peace Lutheran LWML, PEO Chapter HT, Outlook Book Club, and many other activities. Family was what Jean loved the most. She liked art, enjoyed painting and loved to play bridge. 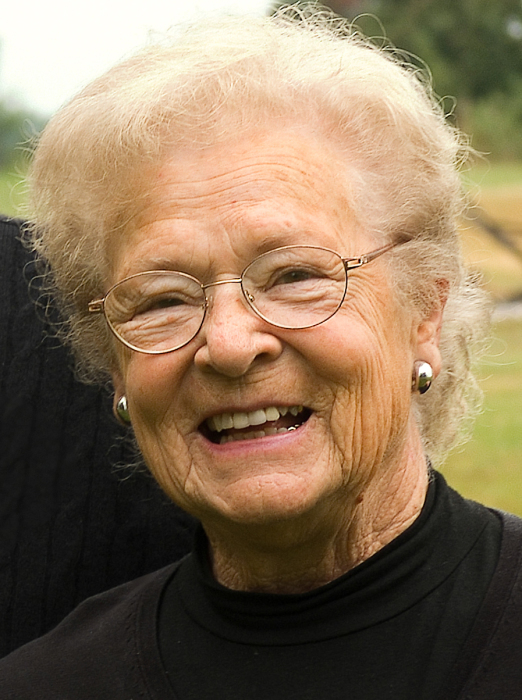 Jean had a love of the outdoors and enjoyed spending time on the ranch in Montana. Jean was preceded in death by her husband, LeRoy, after nearly 70 years of marriage. She was also preceded in death by her parents and her sister, Mary Rosenbaum. Survivors include children Michael Thom (Lois) of Minden, Thomas Thom (Ladena) of Hastings, David Thom (Jan) of Doniphan, and James Thom (Jean) of Hastings. Grandchildren Chris Thom (Amanda), Nick Thom (Kirsten), Joshua Thom, Casey Thom (Ruthie), Chelsea Thom, Elizabeth Peshek (Blake), Jennifer Stutzman (Jake), Benjamin Thom, Sarah Crawford (Chase), Amanda Jacobitz (Nate), John Thom (Ashley), Johannah Thom, and 22 great-grandchildren.